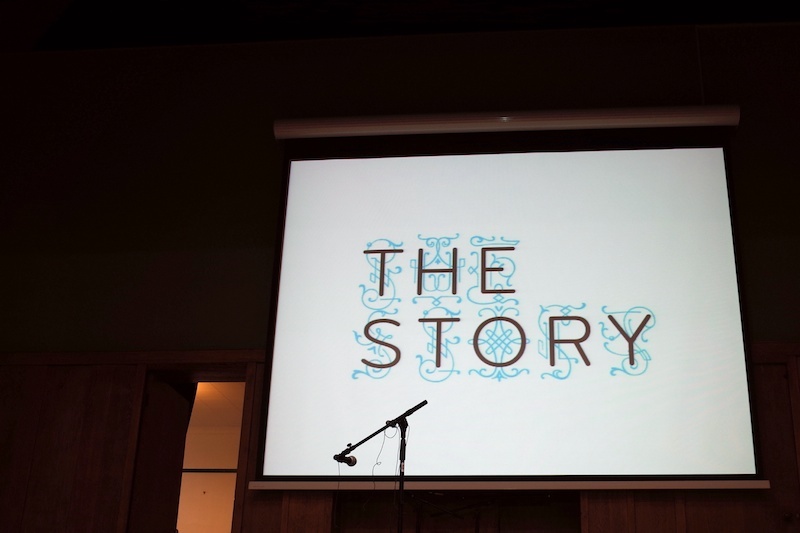 The Story 2014 was a one-day conference about ... well, it was about lots of things. This year was about kids, and the amazing things they think when you give them the chance. 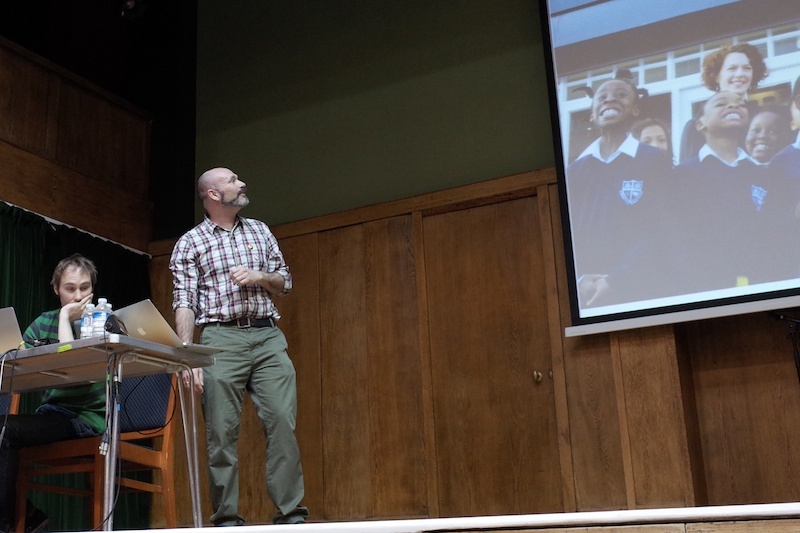 Ben Payne from Ministry of Stories told us about those things, and showed a video of work the Ministry had done turning kids lyrics into real pop songs. The moment when young Paul heard his song for the first time almost brought a tear to my eye. 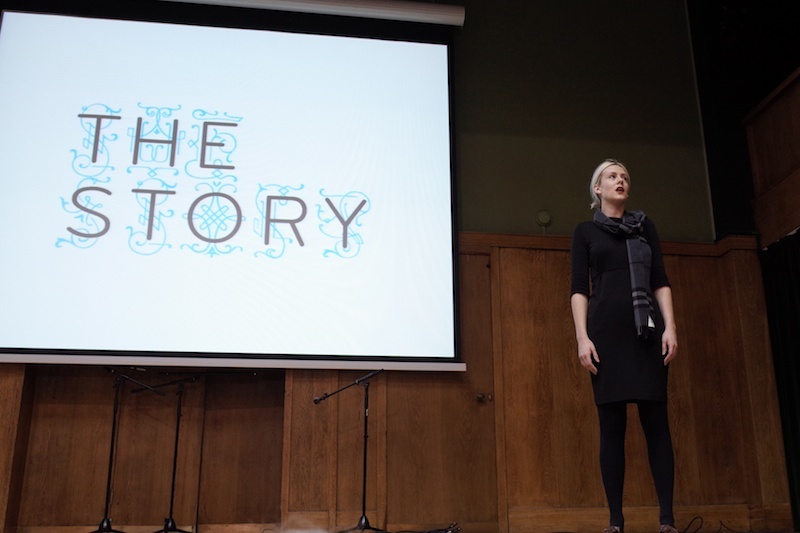 It was about manufacturing a pop star, imagined by a nine-year-old girl and made real by the extraordinary talent of Bryony Kimmings. It was about film, and film-making, and the times when we should avoid the truth, when we should lie, because it's good for us. It was about understanding that there's no secret Nick Cave under the persona. Nick Cave is Nick Cave is. Iain Forsyth and Jane Pollard know all about that. 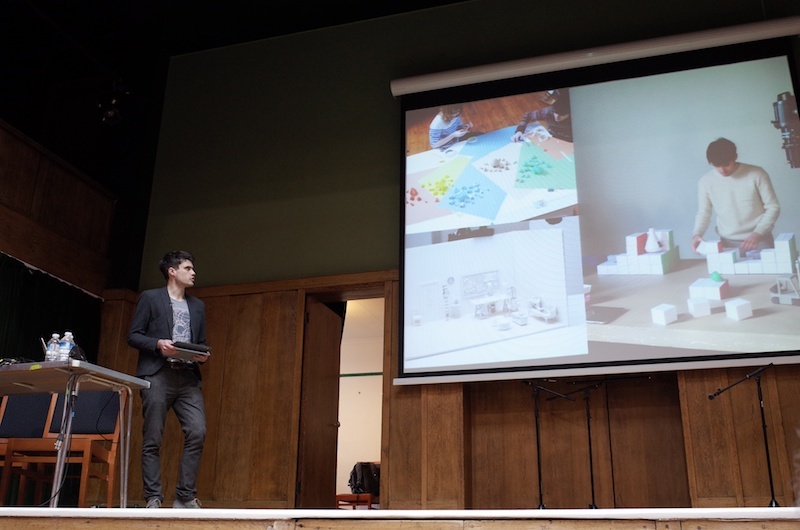 It was about illustrative model-making. I didn't even know illustrative model-making was a thing. Kyle Bean showed us his creations, and through them gave us a glimpse into his mind. He was inspiring. "Being creative is about connecting the dots. Taking two different things and combining them." It was about the history of the internet, or at least the unhistory that some of us haven't stopped to think about yet because we've been so busy looking forward to the next thing. 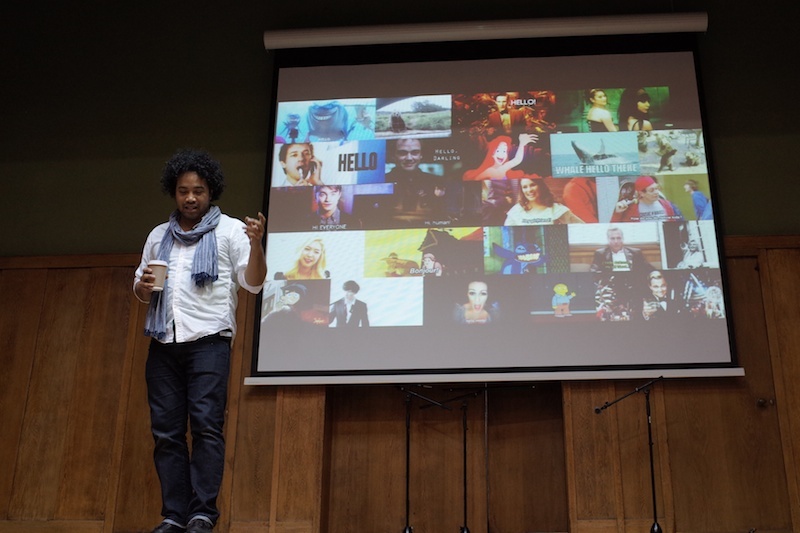 Kenyatta Cheese gave us a chance to pause, and think, and laugh, about animated gifs. It was about making a difference in the community. 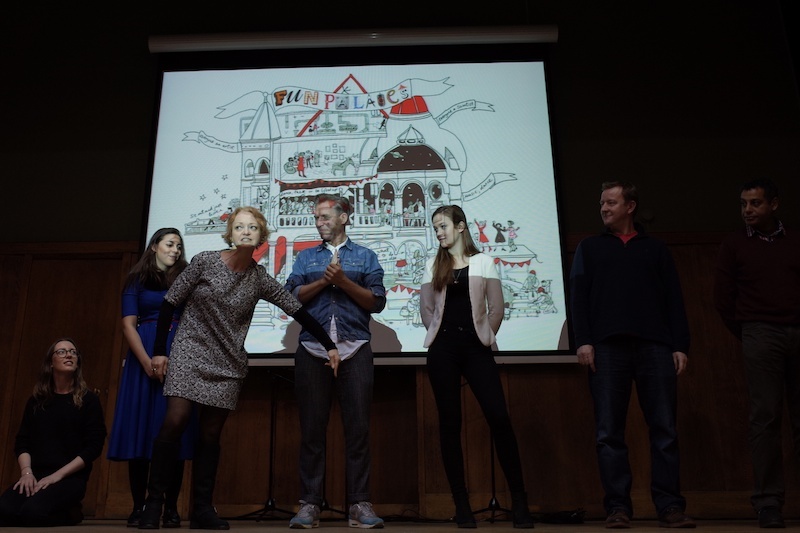 Stella Duffy gave everyone present a lesson in how to life live to the full simply by appearing on stage - then proceeded to teach us several more valuable lessons about doing and giving. "We need to share what we do with people who do not think it belongs to them." Stella was a whirlwind. For her, the arts are infrastructure for doing good. Breathtaking ambition, energy, and life. It was about sounds and stories. 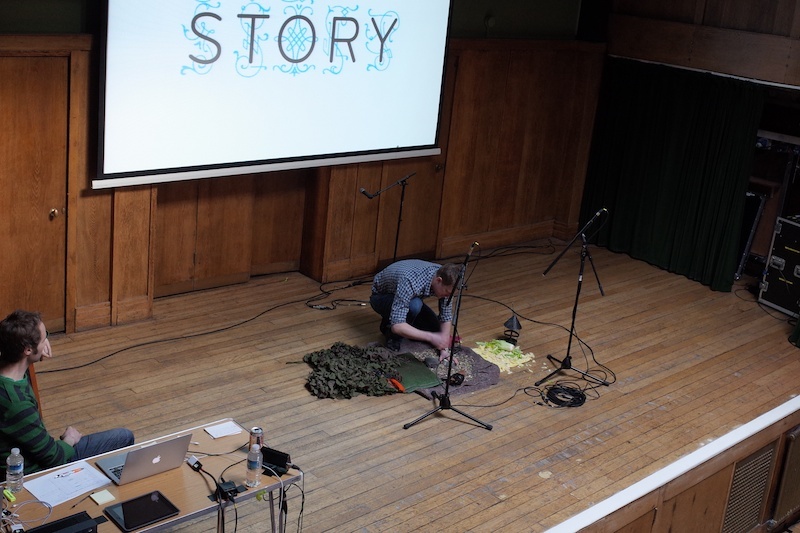 Barnaby Smyth performed live foley effects on stage, and even though my eyes were closed I could feel the people around me jump when the fierce creature we were all imagining roared its head off. 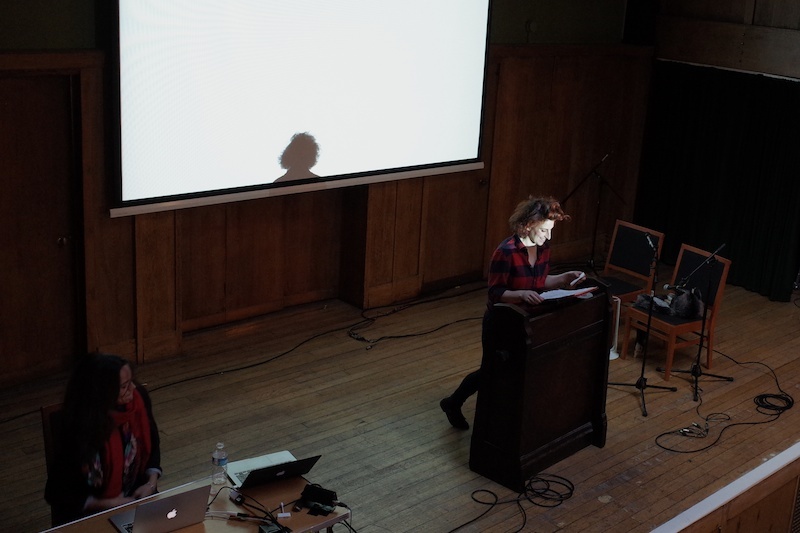 All conferences should include a segment of live foley from now on. 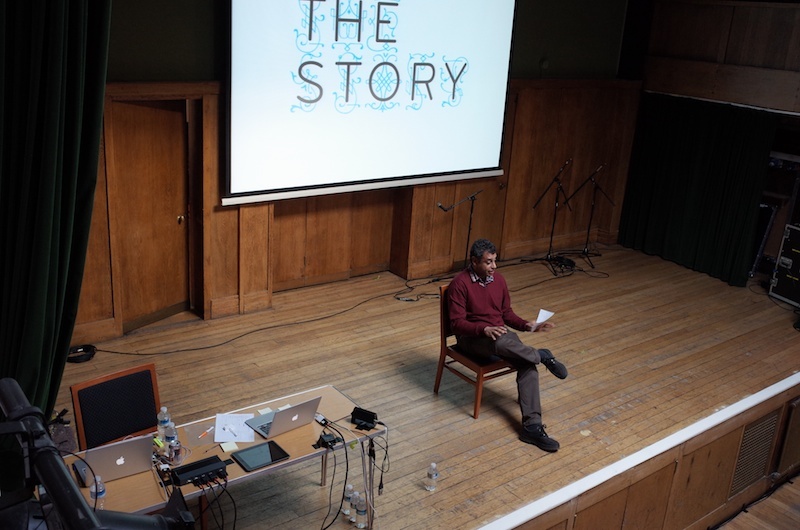 ... then Tony Ageh told us stories about their careers, the risks they've taken, and the mistakes they've made (anyone fancy a day conference called The Mistake? I'd go). 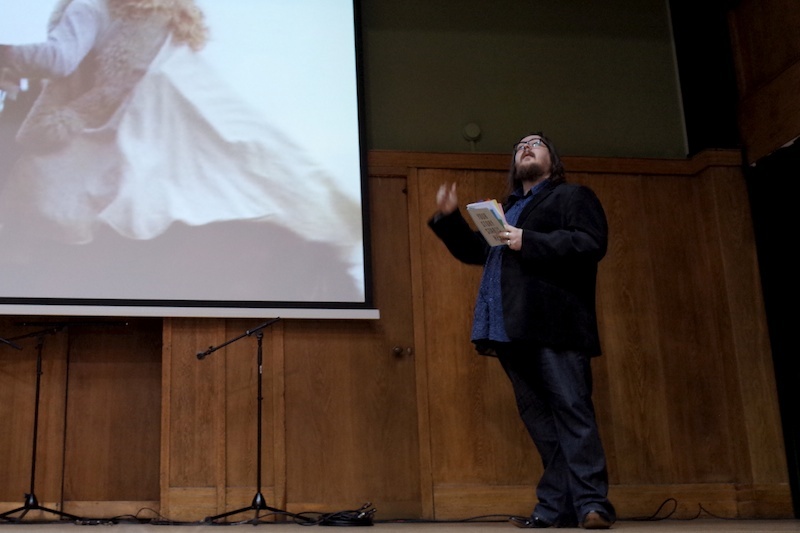 Tony was warm and witty as he told us about the lists he's made, and how they made him. You felt like you were sitting in his sitting room with him. His argument about the BBC licence fee - and why it's a good thing - had everyone nodding. "Advertising is the least democratic way of funding media." It was about throughness. 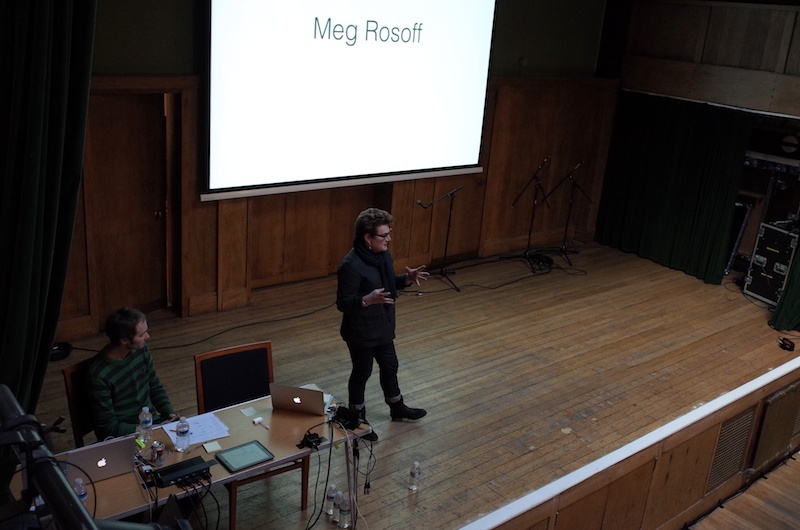 Meg Rosoff told us how to be through, or at least how to know that we should be through-er, and how to spot the signs that we are, or are not, through. She talked about the conscious mind and the unconscious mind, and the "corridor between them". We all need to seek out that corridor more often. Be more through. It was about John Evans, who became Don Juan Evans, then Jean Evans. 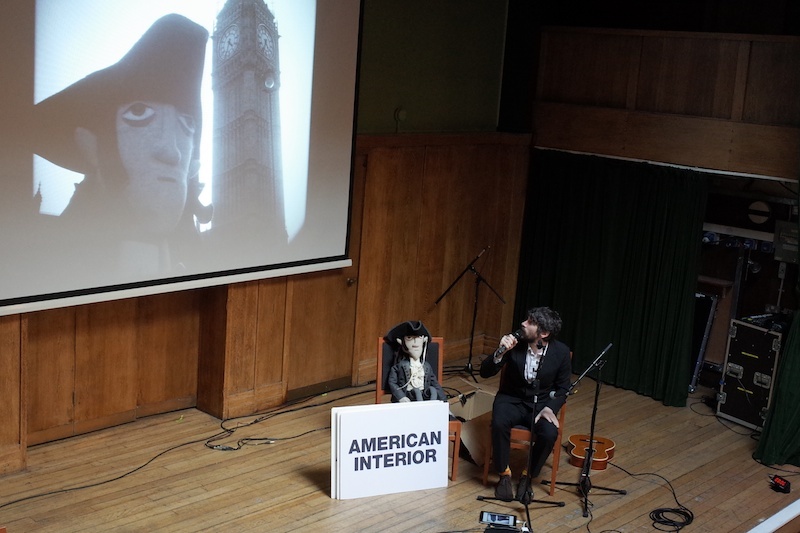 Gruff Rhys told his story through words and pictures and song, a song with more key changes than verses. It was about social stories and people turning things into stories that weren't originally going to be stories. 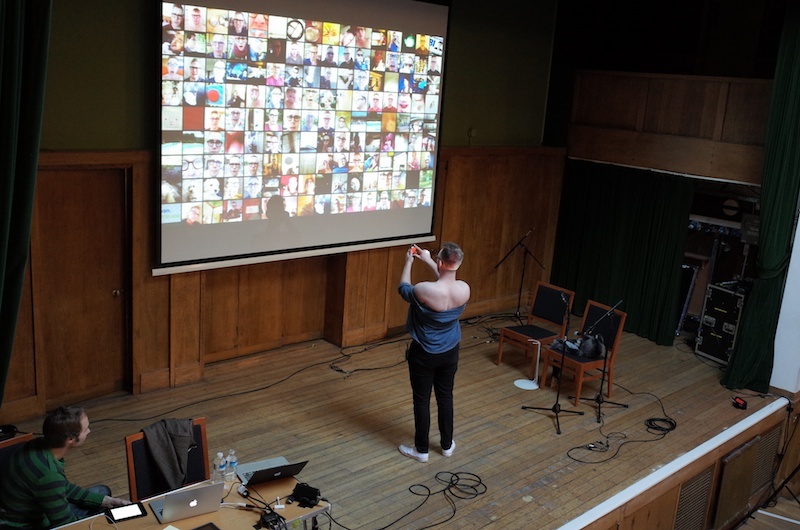 Philip Larkin (no not that one) told us about how Vine changed him and his work, and made a Vine live on stage. It was about loneliness, real and imagined. 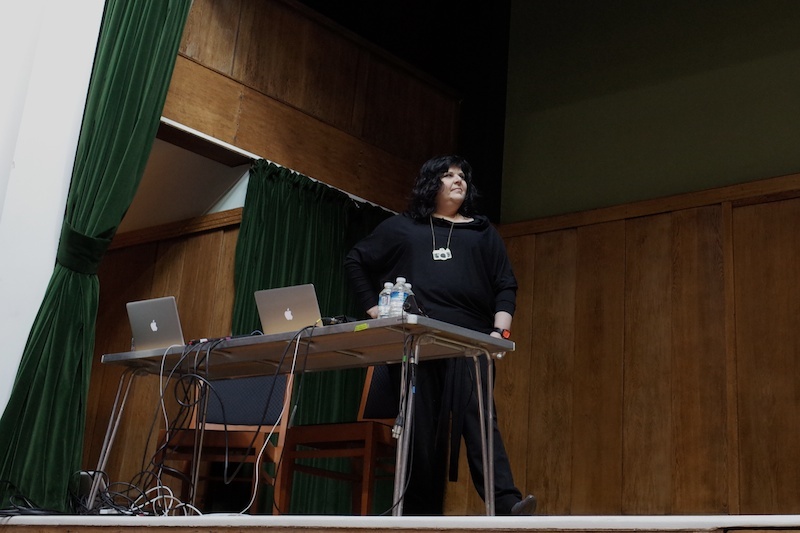 We're all alone, even all of us sitting together in the Conway Hall listening to the powerful, spine-tingling tale of walking in Los Angeles told by Lisa Salem. On the streets of that huge city she confronted her own isolation by talking to isolated strangers, and finding that she was by no means the only one who felt that way. Lonely but not alone. 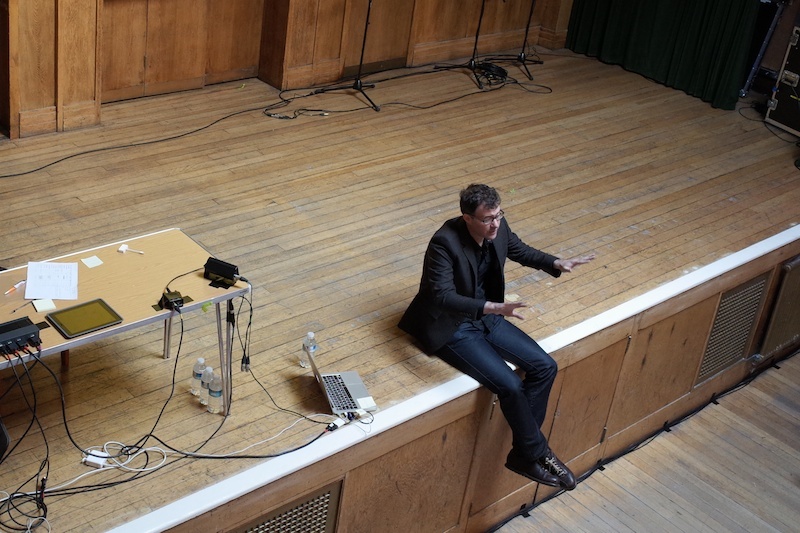 I didn't get a photo of the final interview with The Guardian's editor Alan Rusbridger, but his comments about the ongoing Edward Snowden affair were eye-opening, and a tiny bit chilling. Yet he sat there affably discussing the global surveillance culture and our place within it. I looked around and wondered if he gets followed by spooks these days, and which Story attendees were tasked with tracking him today. And if they felt as inspired by all the other talks as I did.